The Dragonja River basin covers 95.6 km2 and has 18 right and 13 left tributaries. The entire stream of the Dragonja is 26.6 km long; the riverbed makes relatively few turns, so the stream is fairly straight and short, which is in accordance with its torrential character. The longitudinal profile is balanced, without higher steps or irregularities. The average drop in the upper stream is around 2.5%, in the middle stream (from Pinjevec to Argila) 0.75% and in the lower stream, which is regulated, 0.2%. Most of the tributaries of the Dragonja are not regulated, except for the Krkavški potok stream, which is partially regulated in the lower lowland part of the valley. In 1960s, a gravel barrier was built at the source, which collapsed during extraordinary hydrological conditions a few years ago (due to irregular maintenance). In the section at Škrline and upstream of Škrline over a length of approximately 2.0 km, the riverbed bottom of the Pinjevec (Rokava) stream consists of sandstone plates. The riverbed bottom in this section is approximately 10.0 – 10.5m wide. The banks are overgrown, mostly with shrubbery. The Dragonja is categorised as a Mediterranean river. 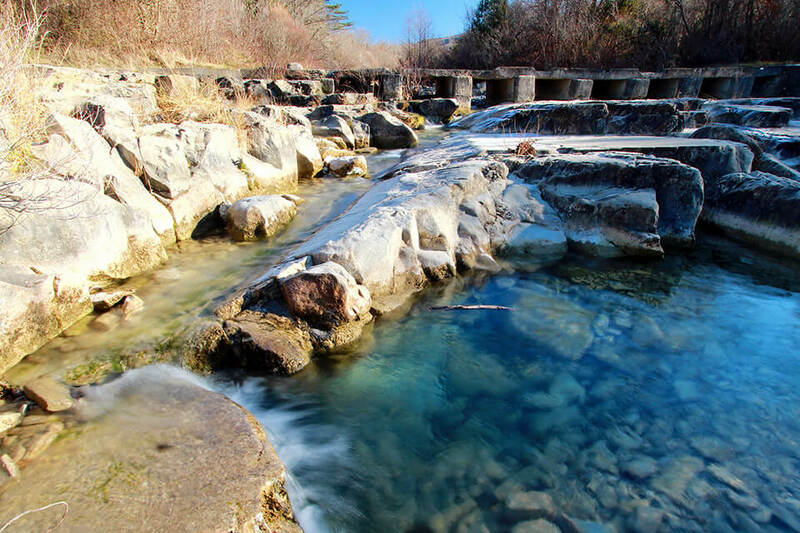 Its river basin covers the area of the flysch Šavrinsko gričevje in Slovenian Istria, while in the southern part it borders the Buje Karst. The area is part of the water-catchment hinterland of Piran Bay, where, for example, underwater freshwater springs along the Savudrija coastline also flow; these are the continuation of numerous karst springs where the limestone anticlinal back meets the synclinal valley on the left bank of the Dragonja, from the Argila tributary to the outflow into the sea. 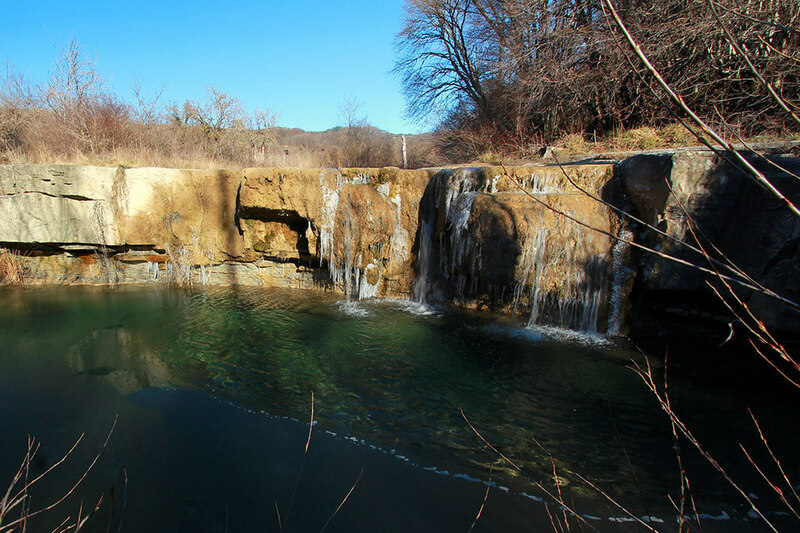 The Karst hinterland of the springs and the Argile stream lie in the Republic of Croatia. The hilly area of the Dragonja basin has wide flat backs on which almost all settlements have developed, while the narrow valleys of tributaries are almost uninhabited, except in the lower part of the basin. The upper torrential stream comprises the upper section of the Dragonja and Pinjevec and most of the smaller tributaries. These areas are characterised by prevailing erosion processes, i.e. areas where material from the slopes is released and travels with the flow. These torrential tributaries are characterised by ditch erosion, which results in landslide erosion (undermining slopes) at individual locations. The rate of these processes depends on the structure of the flysch layers and the quality of slopes themselves. The middle flow comprises the area at Dragonja from Trek to Krkavče and at Pinjevec from Lopar to the confluence. Given the characteristics, the middle current can be divided into two parts, with the delimitation below Škrline. In the upper part of the middle stretch, where the drops are large enough (between 1 and 5%), there are prominent dynamic processes with the release, displacement and deposition of sediments, which are the consequence of lateral erosion and the displacement of the riverbed along the alluvial valley floor. 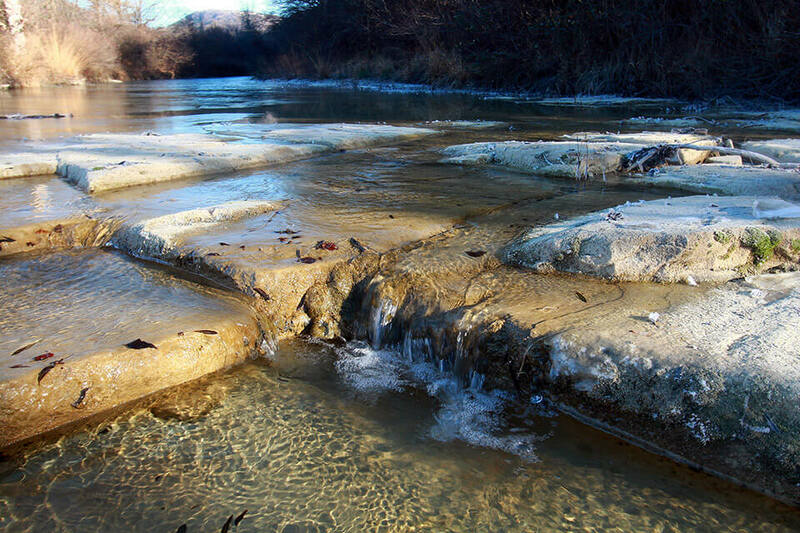 Two types of lateral erosion are typical: lateral erosion of valley slopes and lateral erosion of river alluvia. The stream has a distinctly staircase form, with pools, rapids and perceptible meandering processes. The riverbed is relatively shallow in this part, and the high waters spill over the riverbank, which reduces the erosive power due to the thickness of the riparian vegetation and the vegetation on the valley floor. The problem of lateral erosion of less resistant embankments is most evident under the confluence with Pinjevec and along the entire Pinjevac, which causes problems at locations where water erosion threatens agricultural surfaces, individual houses and communications. The lower part of the middle section is calmer; the average drops in the valley range between 0.5 and 1%. The riverbed is not regulated or maintained; the riverbed bottom is approximately 5.0-10.0m wide and is mostly covered with shrubbery and smaller trees on the embankments. Erosion processes are perceived only as lateral erosion of the valley floor and sediments from cliff slopes, especially in the area upstream from Krkavče where the Dragonja flows along the southern valley edge. Compared to the upstream area, the riverbed is deeper, and forms sharp hooks, between which straight sections extend, and the slopes are overgrown. Agricultural land is located alongside the river. The area of the Dragonja River is of special natural value due to the preservation of its natural riverbed and riparian area and the high degree of preserved biodiversity, since no major technical interventions in the area have been made so far.